After dedicating years to designing interior objects, Jonathan Amar decided to use all his knowledge to create a bike – becoming much more than just a form of transport, even a massive urban phenomenon – giving it all the prestige it deserves. Thus, Amar Cycles was born. The idea? 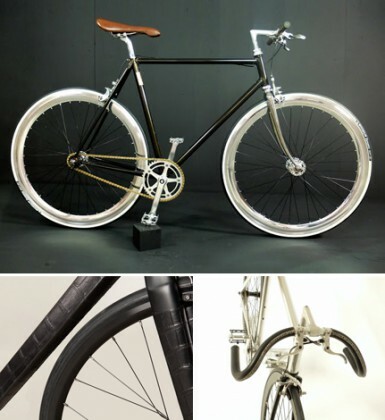 To take apart high-quality vintage bicycles, conserving the finest parts, before intricately reassembling them by hand, and finally polishing and covering them in leather. Every creation is unique and inscribed. The result is an exceptional demonstration of artisanal skill, aligning functionality, art and design. A favourite for skaters and a brilliant classic. Available in Paris at L’Eclaireur Champ-Elysées.